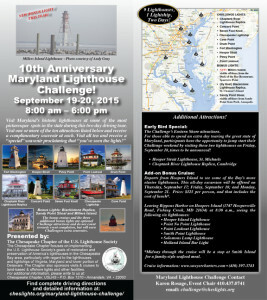 Lighthouse Challenge – 2015 – Chesapeake Chapter U.S.L.H.S. 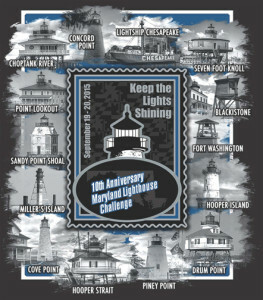 Introducing the 2015 MD Lighthouse Challenge T-Shirt Design. 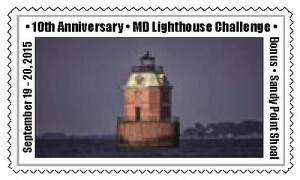 2015 Maryland Lighthouse Challenge Rack Card Help us spread the word about our 10 year Anniversary Celebration. Email challenge@cheslights.org if you would like to receive a bundle of rack cards to hand out at your favorite location, group or to share with friends and family.